The dangers of social media identity theft are increasing as more people continue to socialize online without understand the risks. Current research and data reveal identity theft affects millions of people every year. This is a costly problem and social media has become one of the places people can have their identity stolen. The pattern of this happening online has become more prevalent and often because users don't know how to protect their identity because they lack identity theft training. At least one report claims social media identity theft victims are about 85 percent of total identity theft victims. Social media companies are addressing the problem with advanced privacy settings and coming up with new ways to prevent identity theft. Some reasons why identities are easily taken online is because people are not using enough caution to hide their personal information. This leaves them open to unscrupulous people who depend on gaining trust in order to take another person's identity. In some cases, people don't feel that they need to protect their information on social media like a birth date or place of birth while using their real name with select "friends." Some of these faceless friends only exist from behind a keyboard rather than in person. Social media identity theft definition is when an imposter obtains personal information from another person and uses it in a way to present him or herself as that person. This is done to use the collected information for nefarious means of course. Online identity theft can affect anyone but it may be preventable by being cautious and taking some precautionary steps when being active on social media. The way that social media identity theft cases can happen is if a person does not protect their information from social media users or "friends" they do not actually know. Some social media sites often request extensive personal information including a first and last name, birth date, birth place, high school and other identifying information. This information in part makes it easy for someone with bad intentions of social media impersonation. The one thing the person using social media can do to protect their information is to use the privacy features. Another thing is to watch what they post that may disclose personal information or location. The other important thing for social media users to do is change their password regularly using one that has small and capital letters, numbers and symbols. Strong passwords changed regularly reduces the chance of having an account hacked to obtain personal data. Identity theft cases continue to affect many people. The stunning fact about identity theft stories is that over 85 percent of them occurred online. The identities were stolen at sites like Facebook, LinkedIn, and Twitter. One example of an online identity theft victim case is the story of Dr. Jubal Yennie. In 2013, 18-year-old Ira Trey Quesenberry III, a student of the Sullivan County School District in Sullivan County, Tennessee created a Twitter account. Quesenberry used the name and likeness of the district superintendent, Dr. Yennie. Then Quesenberry sent out a series of inappropriate tweets using the account. The real Dr. Yennie contacted the police. The student was arrested for identity theft. As far back as 2010, a Federal Trade Commission (FTC) study showed data about social media identity theft. People between the ages of 20 and 29 comprised 24 percent of the cases, while 8 percent were aged 19 and under. The assumption is that younger people are eager to make friends online and may not be cautious with sensitive information like birth dates and birth places. They also may not take advantage of social media site privacy settings. The social media identity theft cases have continued to increase over the years since this study. Pretexting is a type of social engineering where attackers focus on a fabricated scenario to steal the victim's personal information. This is often by creating a good pretext and may include impersonation of an authority figure or someone with the "right to know". This makes the victim feel they must give out some personal information. Social media pretexting is unlike phishing emails since they build a level of trust. The scammer may impersonate security staff to acquire sensitive and non-sensitive information. In reaction to reported social media theft stories, Facebook has been active in addressing the problem. The company has introduced a product feature to send users an automatic alert if the person is being impersonated such as when user's name and photo are being used. If the system suspects a social media identity theft case, these accounts are flagged and reviewed by a Facebook team while the user is requested to verify their personal information. LinkedIn which is a networking place for businesses has had similar social media identity theft problems. 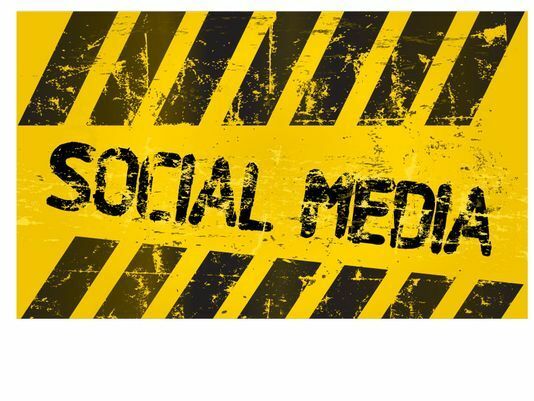 There are some easy ways to avoid having identities stolen on social media. One is to secure the account and always remove unnecessary applications since they have personal and LinkedIn information on them. Changing passwords often is also recommended. Twitter also has security controls within the user's account. For example, a box can be checked to specify personal information is required to reset the user's password. This prevents anyone trying to steal the identity of the user by resetting the password. Change the password often using a combination that is not personal but is mixed in a way that it can be difficult to figure out. Tweets can also be set to only be seen by followers rather than the general public. Twitter has a protect my tweets setting that allows users to choose only approved people can view the tweets. Visit the identity theft blog for recent articles.